Edd China is set to return to our screens with a brand-new collaborative and real-time restoration series on YouTube. The former ‘Wheeler Dealers’ star has joined forces with long-time friend Al Cox for ‘Built by Many’, in which the intrepid duo will work with the audience to rebuild a 1968 Jaguar E-type Series 1 fixed-head coupé. Along the way, they will be delivering a wealth of ‘how to’ videos, plus a back-story on the car and the history of the legendary marque. Jaguar authority Philip Porter will act as the team’s patron and offer his extensive knowledge as well as exclusive access to two very famous E-types: 9600 HP, the original 1961 road-test car and the oldest-surviving example, and 848 CRY, the roadster that appeared in the movie ‘The Italian Job’. Porter’s renowned publishing company, Porter Press International, will be producing an E-type restoration book to tie in with ‘Built by Many’, and The E-type Club magazine will capture the inside story of the collaboration with monthly updates. 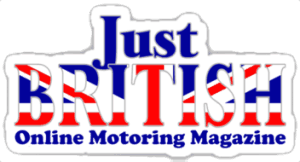 Enthusiasts will also be able to follow the project in Practical Classics magazine, which will feature the team’s progress in a monthly series written by Edd. Readers will also be encouraged to get actively involved by rolling up their sleeves to assist with restoring key parts of the car. The collective community project will be overseen by editor Danny Hopkins to keep the team on track. Historic venues such as Shelsley Walsh and Chateau Impney have also signed up, so you can expect to see plenty of driving action, while Edd and Al will also be chatting to famous owners and their beloved E-types. Early collaborators include Saville Row tailor William Hunt and drummer Paul Stewart from The Feeling. We want to celebrate our automotive heritage by keeping classics cars on the road. Not just housed in museum collections or rusting away at the back of a shed! I’m all for the preservation of historic vehicles and want to get this beauty back on the road for all to enjoy. I’m looking forward to being a grease junkie again and inspiring others to join me on this road trip. It’s collaborative because we’ll be working interactively with the audience in real time. Each week, we’ll also share our latest progress on YouTube. Critical support for the project has already been secured from Jaguar parts specialist SNG Barratt, which will provide parts and expertise, plus more specialist engineering companies like Spin-It, which has developed a bespoke ‘car restoration turntable’ – a key and quirky part of the show. Also on the team are creative agency Fear No Space and production company Voytek, who are both previous collaborators with Edd and Al. The Built by Many trailer is set to launch on 1 June, with a call to action for the audience to ‘get involved’ in shaping the new show. Episode One is expected to be aired towards the end of the summer. More details to follow as they become available. Note: Press release courtesy of Built By Many. Awesome! Edd was, by far, the better half of Wheeler Dealers and I’m thrilled he’s back on the air. I’m so excited about this! I, too, thought Edd was the best part of the show. I have a Series II E-Type, and I can’t wait to see how easy Edd will make all repairs look (major and minor)! I have a S1 OTS—-it will be something to see how he treats the rot that I think is in that car.